I haven’t posted in many months so I thought it appropriate to begin again with a wedding. My daughter was married in London on January 31, 2015. 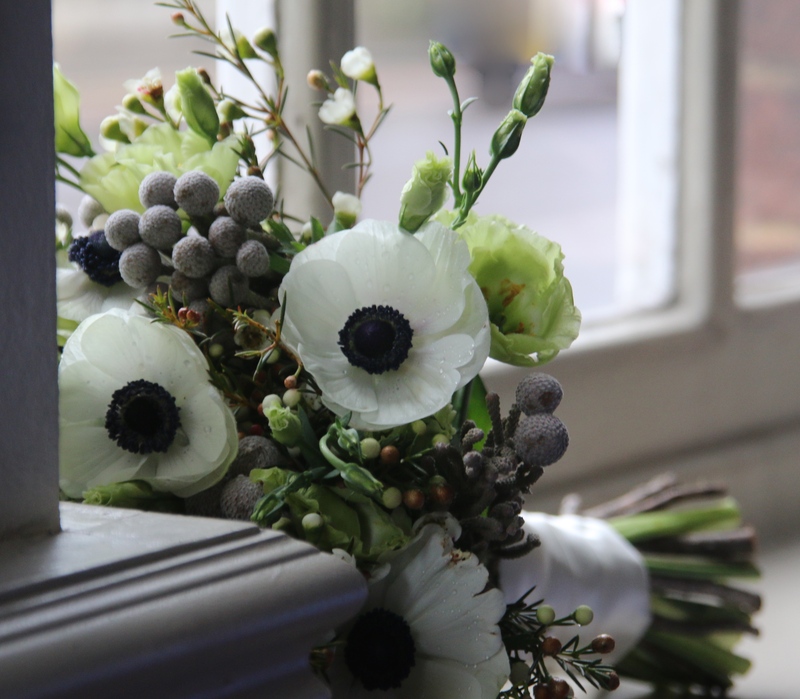 Above is her winter wedding bouquet, consisting of only flowers that were in season in England: anemones, brunia, waxflower and eustoma. 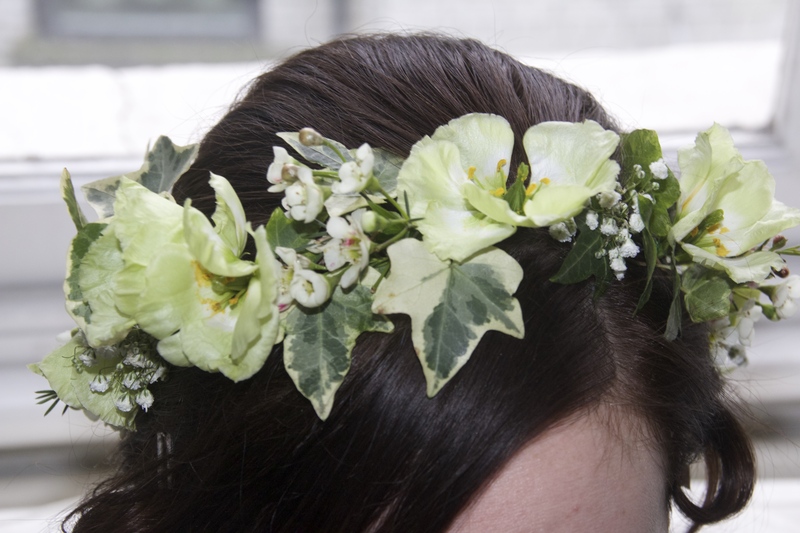 Her Bridal wreath echoed her bouquet, but added ivy and a touch of gypsophila. Choosing from among what flowers were available rather than special ordering exotics created a bouquet and wreath that fit in with the day, the weather and the city. Proving once again, to me at least, that working with nature creates the most beautiful bounty. Congratulations on your daughter’s wedding! What a lovely bouquet. I hate to show my ignorance, but is the white flower with the black center an anemone? It’s a beauty. How beautiful ! (and after my own heart!) Congratulations to you!!!! Congrats on your daughter’s wedding and I love that she chose what was in season…fabulous! In season is the way to go. Great to read this post, and to know it was prompted by such a wonderful event. Congratulations! Thank you Patterson! Now looking ahead to other adventures. What beautiful flowers – seasonal flowers always create a wonderful feeling, she made the right choice. And congratulations! Thanks! And yes to seasonal flowers! !